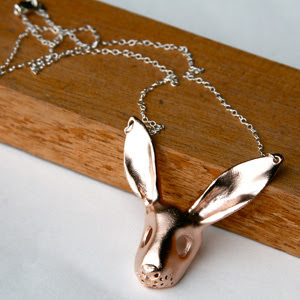 Home › News › The holiday bunny you ordered has arrived! The holiday bunny you ordered has arrived! He is pink and so sweet! O.K., sweet is probably the wrong way to describe this little guy. A little odd, a little Donny Darko, maybe. But completely impossible to resist.